Our Dining - Green Park village Guesthouse in Siem Reap, Angkor, Cambodia. Your home away from home. You will start your visit by entering the South Gate of Angkor Thom, and visiting Bayon, Baphuon, the Royal Enclosure, Phimeanakas, the Elephant Terrace and the Leper King Terrace. The visit continues with Ta Prohm, the jungle temple built by king Jayavarman VII in 1186 and dedicated to his mother. This temple became popular after being chosen for the filming of the movie "Tomb Raider" with Angelina Jolie. You will end your visit with the magnificent temple of Angkor Wat, which was built by King Suryavarman II (1113 - 1150) and dedicated to the God Vishnu. 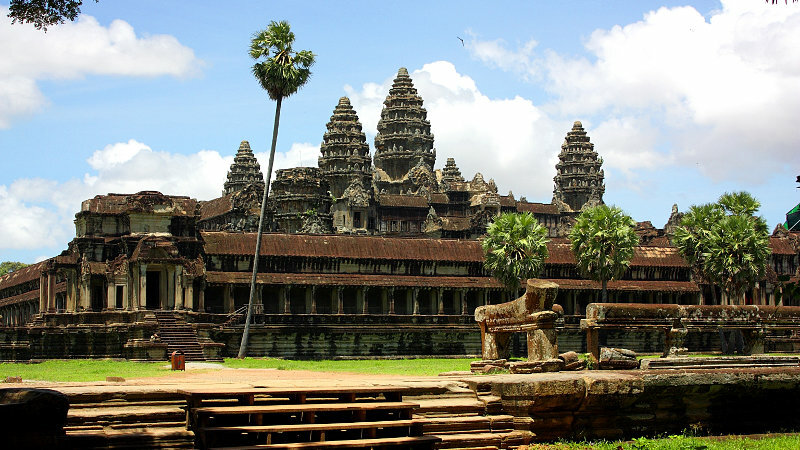 Angkor Wat, the largest monument of the Angkor complex and the best preserved, is an architectural masterpiece. It is perfection in composition, balance, proportions, relief and sculptures make it one of the finest monuments in the world. To the North of Siem Reap sits Banteay Srey, the citadel of woman, jewel indisputable of the Khmer art, entirely made of hard pink sand stone, wonderfully sculpted, perfectly preserved and restored. The second part of your tour continues 13 km away to Kbal Spean, the "Thousand Linga River" which was carved during the 10th-11th centuries. 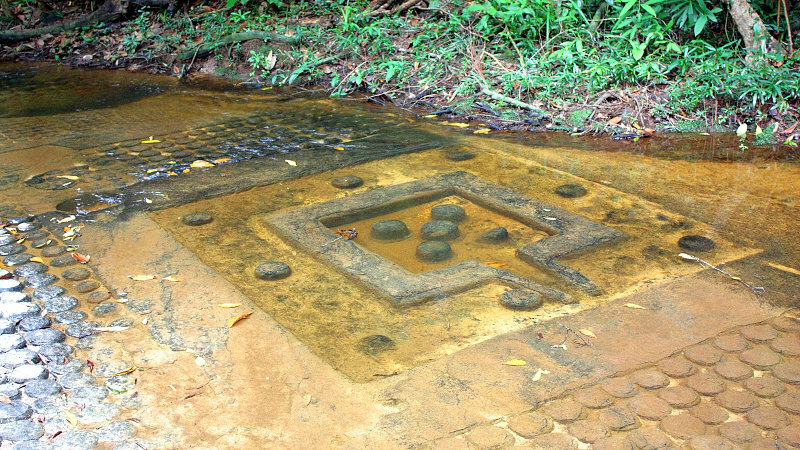 The Lingas, the symbol of Siva, god of Hundu, are carved along the river bed about 200 meters. This part of the trip involves climbing the mountain by foot for about 45 minutes. You will also see a 5 meters high waterfall. You will visit Roluos Group Temples: PreahKo, Bakong and LoLei. 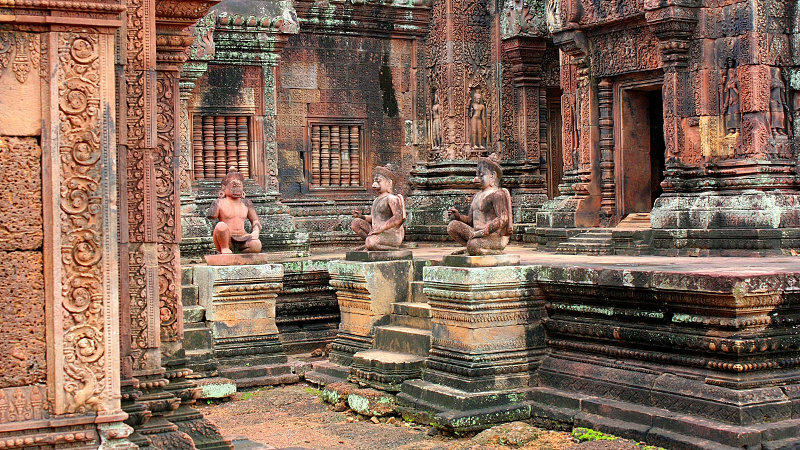 The temples are built from the early of Angkor Period (802-1431). Preah Kotemple was built by king Indravarman I in 879. Bakong was built in 881. And Lolei was built by king Yasovarman I in 893. One of the largest Angkor temples, Beng Mealea was built late 11th - first half of the 12th century under King Suryavarman II, the founder of Angkor Wat. It is commonly believed to be a forerunner or blueprint for Angkor Wat it self and is decorated in substantially the same art style. 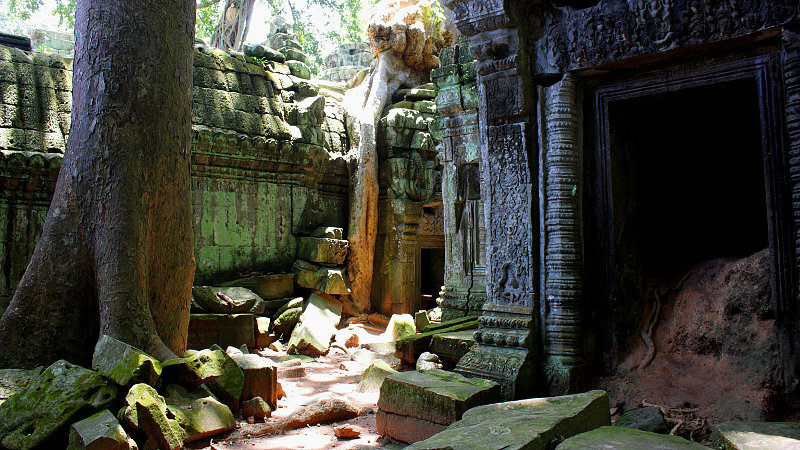 The temple has remained in its collapsed state, partly hidden by jungle and until recently rather inaccessible due to poor road conditions and landmines. Around 2003 the landmines were cleared by CMAC - Cambodia Mines Action Center - and the Halo Trust, and the temple opened to the public. The distance from Siem Reap to Beng Mealea temple is around 80km (90-120 mins) either via Banteay Srei and Phnom Kulen or through National Road 6 (Siem Reap to Phnom Penh). You can visit Beng Mealea at any time of day as most Angkor temple tours and tour bus crowds do not venture here. A Beng Mealea temple plan can usefull for orientation as the ruined nature of the temple can be confusing. By car is $50 . By Tuk Tuk is $ 25 . Tour start at 4h45 am to see sunrise at Angkorwat temple take a break for breakfast and then go to see Bonteay srey temple it is about 35 km it take about an hour to get there , Bonteay srey temple was built late 10th century , It loosely translates to citadel of the women but this is a modern appellation that probably refers to the delicate beauty of the carving . And then we go back to see Taprohm temple was built Mid 12th - early13th, take a break for lunch, and then go the see Angkor Thom area, there are Bayon temple, Baphoun temple, royal palace, terrace of the elephants, terrace of the leper king and then Angkor wat temple . If you have short trip in SiemReap and want to see all of the famous temples and less crowded this tour is the best, feel free to contact us if you have any inquiries. Preah Vihear Temple is an ancient Hindu temple built 11th–12th centuries AD, during the period of the Khmer Empire, that is situated atop a 525-metre cliff in the Dângrêk Mountains, in the Preah Vihear province.Affording a view for many kilometers across a plain, Prasat Preah Vihear has the most spectacular setting of all the temples built during the six-centuries-long Khmer Empire As a key edifice of the empire's spiritual life, it was supported and modified by successive kings and so bears elements of several architectural styles.Preah Vihear is unusual among Khmer temples in being constructed along a long north-south axis, rather than having the conventional rectangular plan with orientation toward the east.Construction of the first temple on the site began in the early 9th century; both then and in the following centuries it was dedicated to the Hindu god Siva in his manifestations as the mountain gods Sikharesvara and Bhadresvara. Feel free to contact us if you have any inquiries.